Victor Moore began his physical fitness and martial art training at the tender age of 7 in Cincinnati, Ohio. He started his physical training at home by lifting heavy buckets filled with coal, one little dumbbell, and other weights he found. He read Charles Atlas books to help with physical training, following every exercise as precisely as possible. Soon he began reading up on jujitsu. As the years passed he began training in judo at the Marro’s YMCA with associate Buzik. and Weight training. By the age of nine Victor Moore was very precise in some of the basics of jujitsu and judo. At the age of twelve, he began karate training with Ronald Williams of Cincinnati, Ohio, who was known as “The Grave Digger, because digging graves was his profession. After training with Ronald Williams for 5 years, Williams awarded Victor with a black belt in the Kempo style of karate. Around 1961, a judo school opened on Vine Street in Cincinnati and Ray Hughes was the instructor. Victor Moore jumped at the opportunity to join. Later, Gyu Ryu-karate was introduced in a back room at the school by Harvey Eubanks. Shortly there after, Victor joined a Kempo class instructed by Bill Dometrich. Vic was not permitted to wear his black belt in class. He found that he had to start as a white belt in each of the different styles of Karate. In those days, instructors stressed that the black belts had to earn their rank in the different schools. Chung Ling, an exchange student from China studying at the University of Cincinnati, came to the school and introduced Chuan Fa. Students experienced being struck with bamboo sticks across all parts of the body. Learning karate in different styles made it difficult for students to earn rank in the different schools. Vic Moore had already earned a black belt from Ron Williams and this made him more adaptable he progressed in other styles. 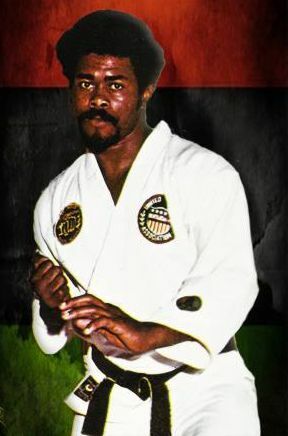 Victor Moore continued his studies and took up judo at the school on Redding Road in Cincinnati, Ohio under the instruction of John Osako and Sensei Glen Osborne. Vic earned his brown belt in judo at the school. He also began karate classes with Jim Wax. Jim Wax had studied with one of the Shimabuku brothers. Contributing to Vic toughness was his boxing at the 9th street YMCA. Vic was quickand became one of Tiger Joe Harris sparring partners. (Vic carries a small scar over his left eye to show for it.) Vic competed in twelve amateur fights and won every fight. At Central State University, Vic met a Professor Barry Yasuto, who trained Vic and brought him to black belt level in Shotokan karate. Vic, however, was told he would not be permitted to join the Japanese Karate Association because he was an American. (Or was it because he was African American?) After Vic left Central State, he returned to Cincinnati, opening his first karate school on Beakman Street. Victor Moore began to travel, with a handful of his students, to several tournaments as far away as Canada. He later opened other schools throughout the Cincinnati area and began traveling the Midwest and East coast. Now successful in competition, he meets the father of American karate, Robert A. Trias. Mr. Trias, with his superior skills and ability, took Vic under his wing. He tested Vic in his organization up to second degree black belt level. Vic continued to train with Master Trias at various tournaments and seminars, learning the Kempo and Goju-Ryu styles of Karate. 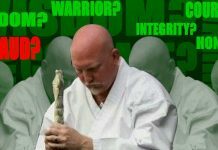 Vic traveled many times to the USKA headquarters in Phoenix, Arizona where he had received rank up through his Masters level while in the USKA. Master Trias taught many styles. His main style was Shuri-Ryu. Also while Vic spent time in the USKA, Dr. Maung Gyi took him under his wing as a personal student. Dr. Gyi taught him Bondo karate, stick fighting, and all the various weapons. Dr. Gyi was also Vic Moore’s kick boxing instructor, teaching Vic the moves of thai boxing. Later, Vic Moore and Joe Lewis introduced kick boxing to America on the Merv Griffin TV show in 1973(?). They were the first to introduce kick boxing in the United States and some of the first professional kickboxers in fight in the United States. Jim Harrison and Vic moore fought in the first kickboxing tournament in the United States and Harrison defeated Moore in what proved to be one of the most exciting fights in martial art history. Victor Moore is thankful to the late Grandmaster Trias along with his other instructors for helping to mold him into a four time world champion. 1966 Defeating the all Hawaiian champion in Richmond Virginia. 1968 Defeating Joe Lewis at the World’s Fair Karate Championships. heavyweight championship at the world teams championship. USKA first professional world championship. Victor Moore defeated every national champion that was competing during the 60’s and the 70’s. Such greats as Mike Foster, Chuck Norris, Fred Wren, Glenn Keeney, James Hawkes, and Jim Kelly, to name a few. Moore points out that just because he beat a champion or a champion beat him, does not take away the credibility of a champion. We are all champions, he will tell you. 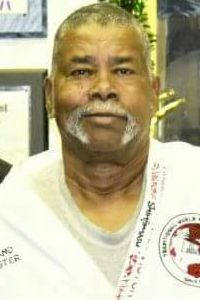 Victor Moore cherished the compliment of the late father of American karate Robert A. Trias who stated so many times that Vic was a great champion, and one of the best teacher of karate he’d seen. Every karate student of Vic Moore that competed in tournaments has placed while Vic Moore was on the tournament circle. 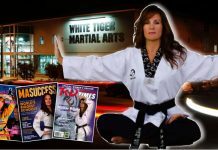 For example, Nancy Moore (now in North Carolina) was one of the first female champions and won brown belt world championship in 66 in the men’s division. (Most of the time, there were no ladies divisions in the 1960’s.) Also, Mike Awad, and Woodrow Fairbanks from Cincinnati, Ohio, like Vic, became a red pine tree holder chief instructors for the Shuri karate and earned the Trias International Society award which is the highest award in the USKA. 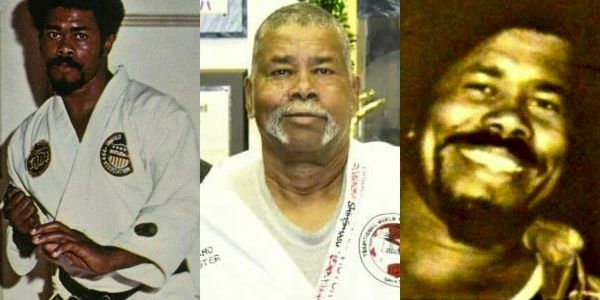 A few other national black belt instructors Vic trained in Cincinnati over 30 and 40 years ago are Johnny Jelks, Chester Richardson, and Howard Vaughn to name a few. Victor Moore is still working with instructors and students all over the county and still teaching in North Carolina. Vic’s daughters, Vickie and Vonnie, have also won tournaments and still train with their dad occasionally. They have studied for thirty-five years off and on. Vic has gotten his youngest son, Vanceston, into arts as well. 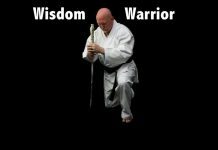 At 10 years old and in the sixth grade, Vanceston could work five katas, work the bow, the sai and the katana full length Japanese sword.